This week I would like to tell you a little about these great additions that you can use with your Ultimate Pro Crafting Case. 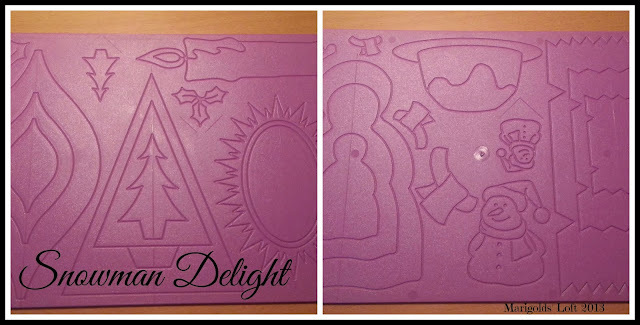 These are the Dry Embossing Christmas themed boards from Crafters Companion. 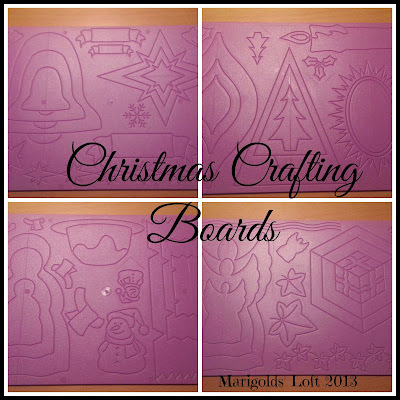 There are two of these boards available, each are double-sided with loads of scoring and designing possibilities. 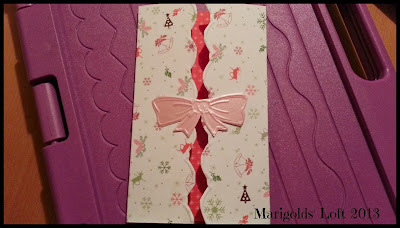 In yesterday's Card tutorial I used this board for the bow which I used on the outside of the card. 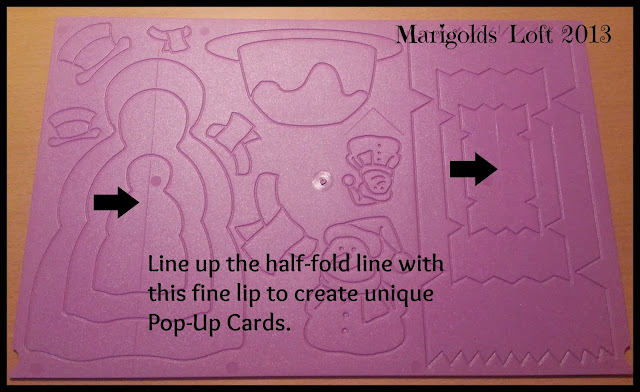 What is great about these boards is that they not only offer you double the amount of images and themes, but the bigger designs on each board have the fine middle lip in the 3 different sizes, taking the work out of figuring out how to make an awesome looking pop-out card. 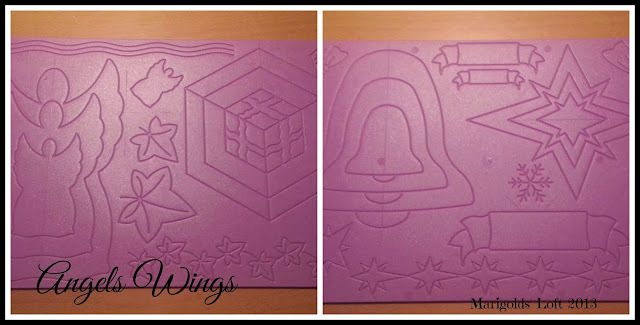 Each board also comes with an easy way to emboss your envelopes with the same design as your cards. 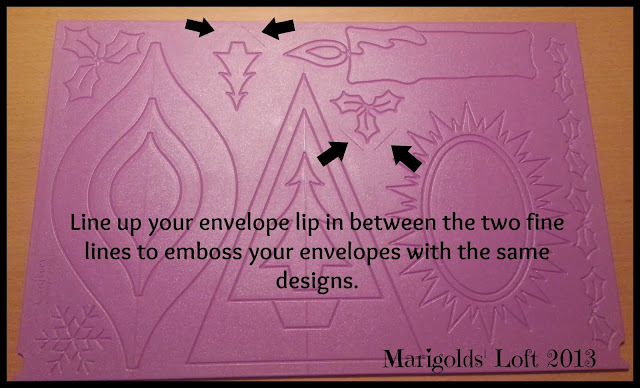 Just place the lip of your envelope into the triangular slot over the image and emboss, nothing could be simpler. The boards can be purchased and used separately without the Ultimate Pro, but if you have the board it makes using these boards that much easier as they slot into the top of your case so that they do not move around whilst your are busy.